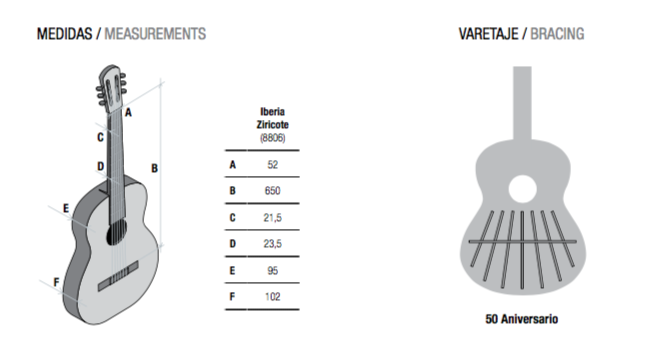 The Alhambra Iberia Ziricote model has always been a very balanced model and on the occasion of the 50th Anniversary of Alhambra Guitars a series of modifications to improve the model has been done to get a really interesting model. 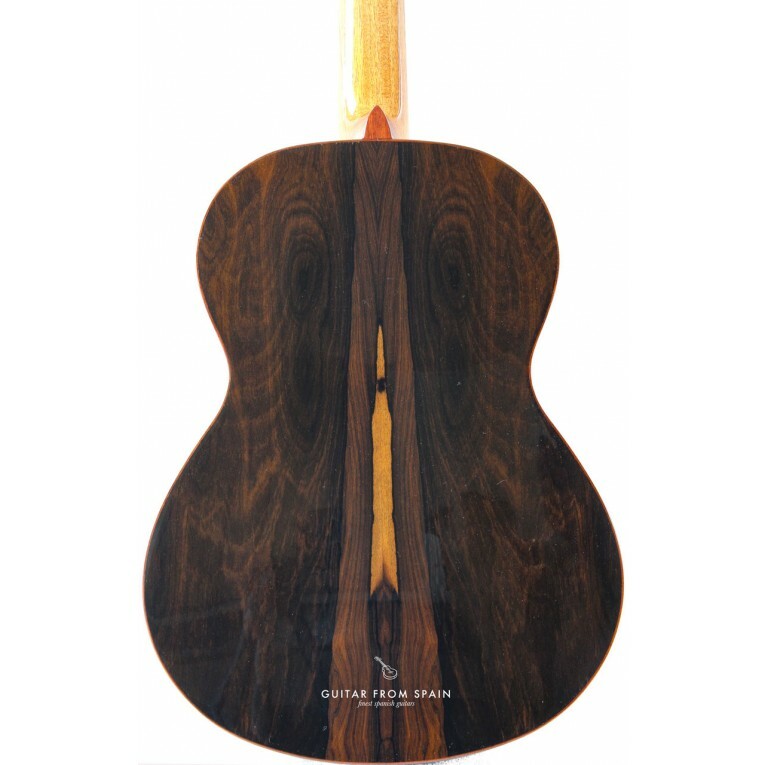 Regarding the woods, the most important feature are the back and sides made of Ziricote (Cordia dodecandra), an extraordinarily beautiful wood, with a sound that could be described as deep, a very Spanish sound, an excellent sound. The effect of the Ziricote generates unique instruments, due to the contrasts of the wood grain of this wood. Although each guitar is always unique, in this case it can be said that the differences are more evident between one and the other. 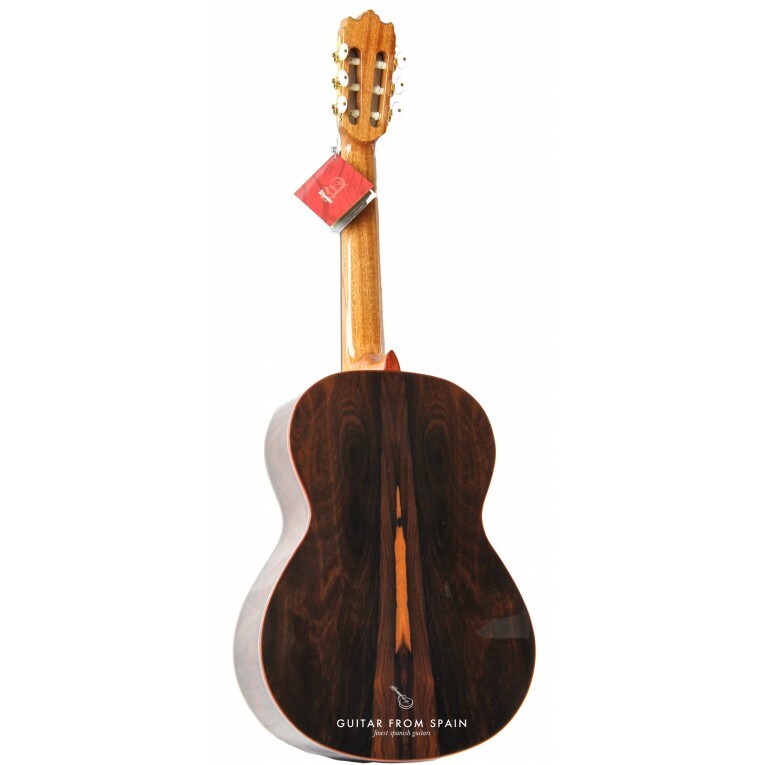 Regarding the neck, the instrument is designed using the ergoneck, a narrower neck, in this case made with Mahogany, which provides much comfort in the performance. 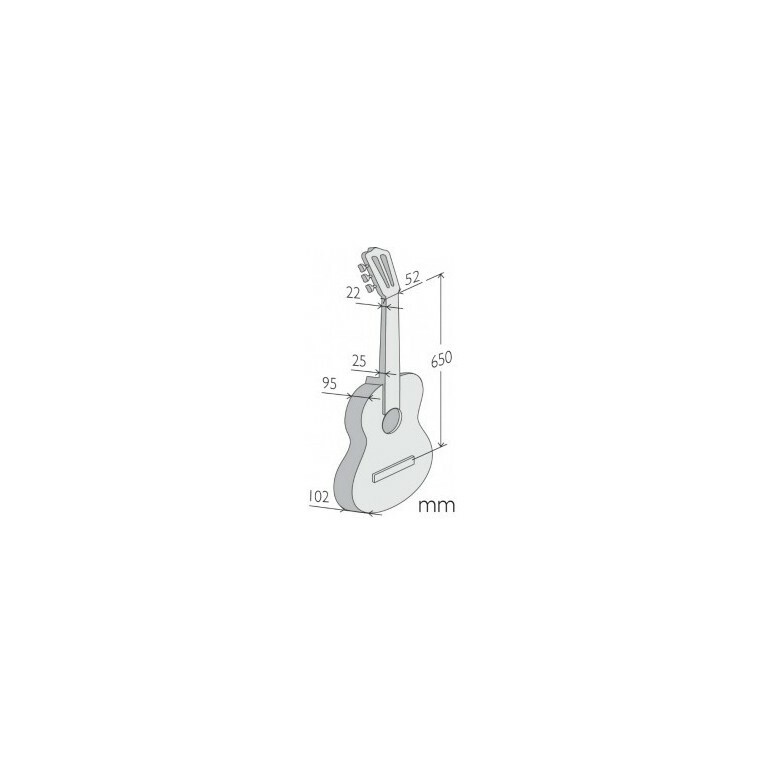 The saddle and nut are made of melamine, a material that transmits a lot of sound and offers a round and a very balanced sound. 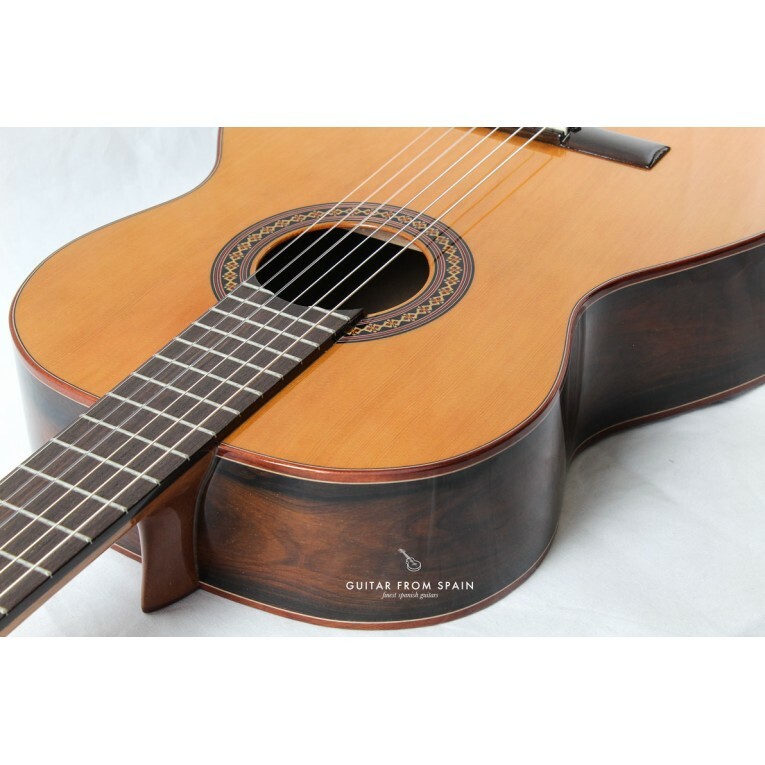 The fingerboard is made of Indian Rosewood, a very hard wood that at the same time offers some elegant brown shades. The guitarist who plays this guitar, usually emphasizes the comfort in the interpretation. 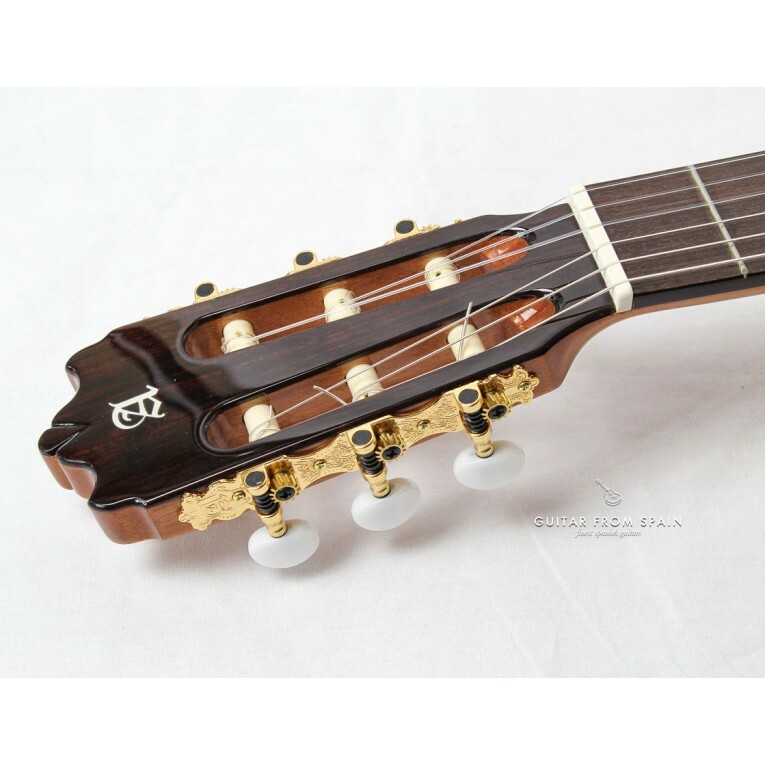 This is because of the characteristics of the neck and a string action more similar to the professional level, but very tight. The distance between strings and frets its been carefully set to make this guitar very comfortable, without being soft. 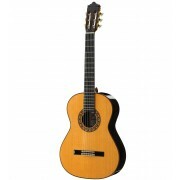 A mid-range guitar, offering a range of professional and surprising performance in a very satisfactory way. Gig Bag for free. , an extraordinarily beautiful wood, with a sound that could be described as deep, a very Spanish sound, an excellent sound. The effect of the Ziricote generates unique instruments, due to the contrasts of the wood grain of this wood. Although each guitar is always unique, in this case it can be said that the differences are more evident between one and the other. 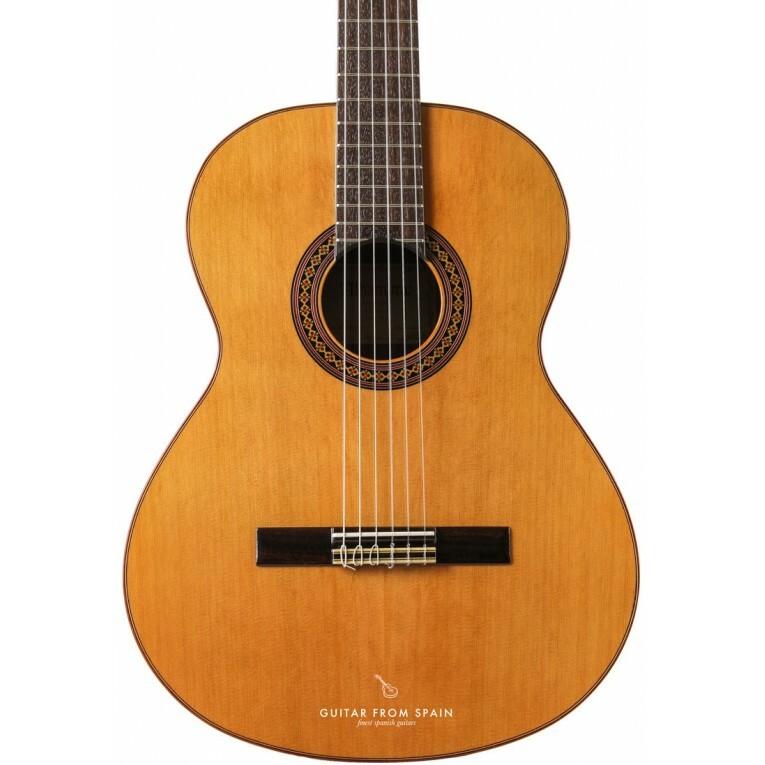 Regarding the neck, the instrument is designed using the ergoneck, a narrower neck, in this case made with Mahogany, which provides much comfort in the performance. The saddle and nut are made of melamine, a material that transmits a lot of sound and offers a round and a very balanced sound. 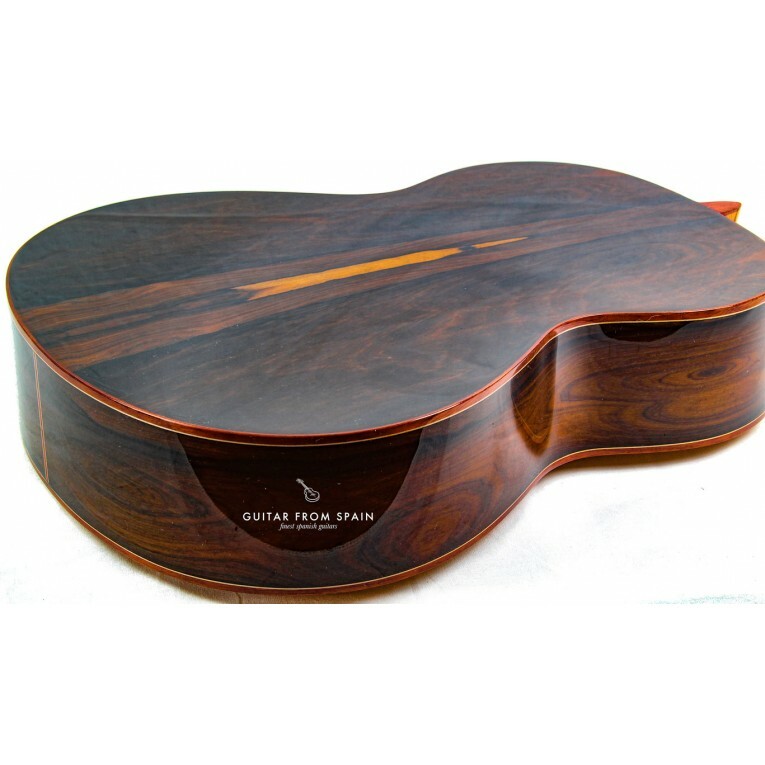 The fingerboard is made of Indian Rosewood, a very hard wood that at the same time offers some elegant brown shades. 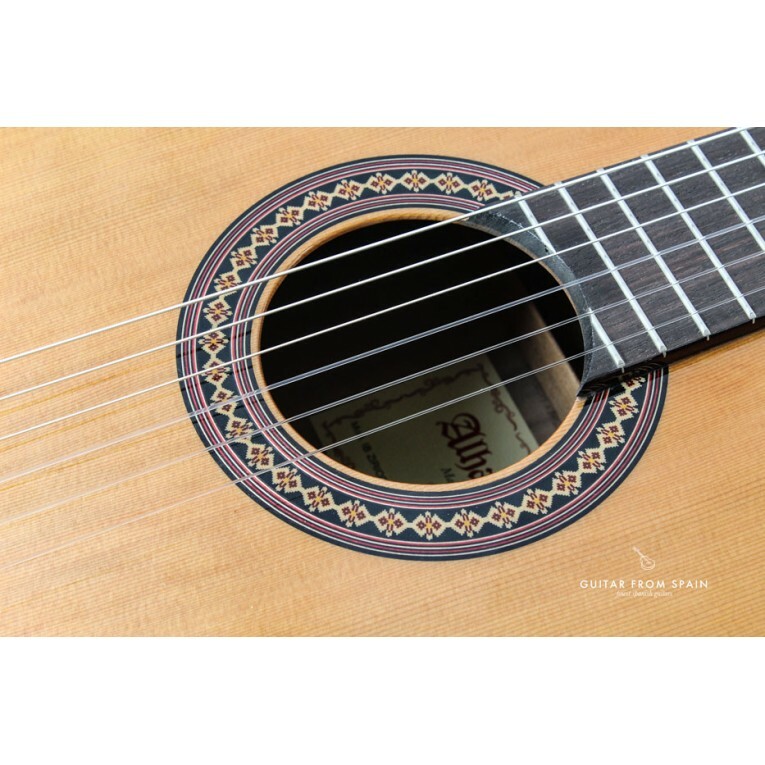 The guitarist who plays this guitar, usually emphasizes the comfort in the interpretation. This is because of the characteristics of the neck and a string action more similar to the professional level, but very tight. The distance between strings and frets its been carefully set to make this guitar very comfortable, without being soft. 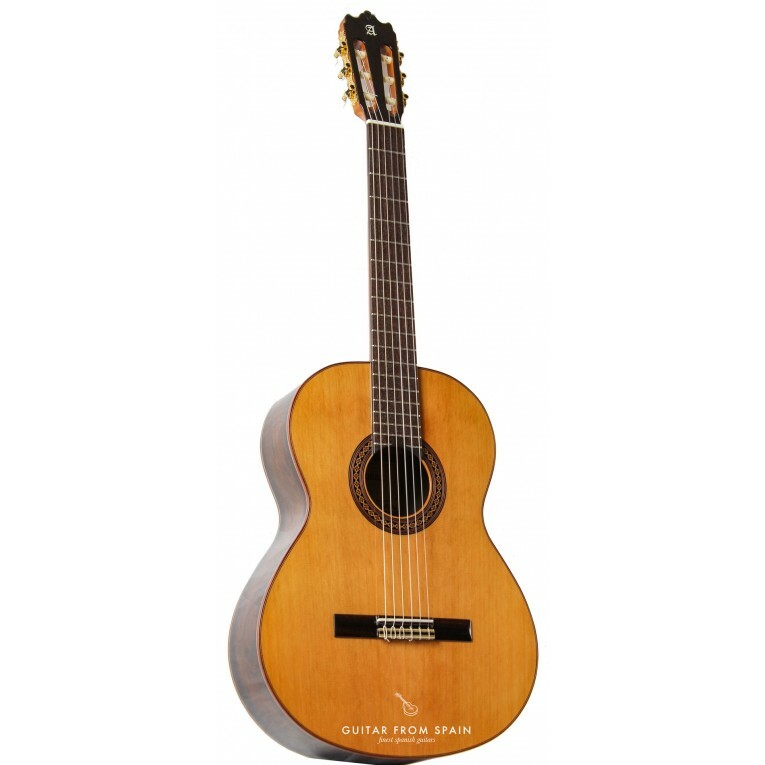 A mid-range guitar, offering a range of professional and surprising performance in a very satisfactory way. Gig Bag for free.